With Joplin, Missouri devastated by an EF-5 strength tornado, the highest possible on the Enhanced Fujita scale of tornado power and intensity, much of the country’s attention is focused on beginning the relief efforts in this southwestern Missouri city. While baseball may be farthest from the minds of those attempting to put back the pieces of their lives destroyed by the storm, longtime residents remember Joplin as the home of the Class C Joplin Miners of the New York Yankees organization. In 1950, a fleet 18-year-old shortstop from Oklahoma named Mickey Mantle captured the hearts of this Midwestern city, rallying the team that inhabited Miners Park on 4th and Main. Leading the Western League in almost every offensive category, Mantle batted an astounding .383 with 26 home runs. Defensively, Mantle did not develop as quickly as his hitting, committing 55 errors in 137 games. Blessed with a strong arm and tremendous range, Mantle went through growing pains at one of the most demanding positions in baseball. Teammate Cal Neeman, who would go on to a seven-year career in the big leagues as a catcher for five major league teams, knew very well Mantle was a star that needed just a little more polishing. “Everybody knew he had a lot of talent. There is no doubt about that. He did some fabulous things, but he also made errors too,” Neeman said via a telephone interview Wednesday from his home in Missouri. Steve Kraly, who pitched with Joplin that year and made it to the Yankees himself in 1953, also shared via telephone Wednesday tales of Mantle’s woes at shortstop. 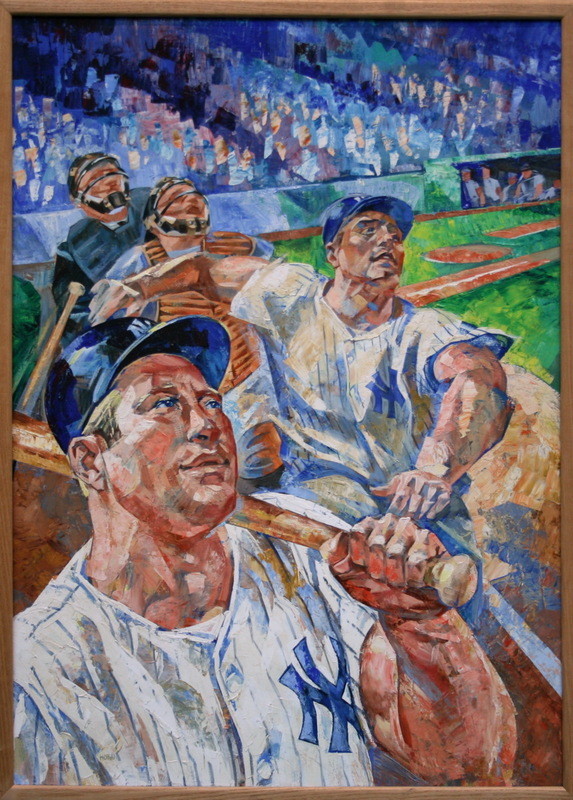 Despite Mantle’s troubles in the field, there was no denying his prowess at the plate. Neeman, who had played at Joplin the year before, marveled at Mantle’s power. Both Kraly and Neeman saw a tremendous change in Mantle’s play in between the 1949 and 1950 seasons. Prior to the start of the 1950 season, Casey Stengel held a training camp for Yankee prospects in Arizona. Neeman attended the camp along with Mantle in January that year. Kraly provided the perspective of Mantle's transformation from playing with him during his debut year of 1949 at Class-D Independence. During his time in Joplin, Mantle roomed with a trio of future big leaguers, Kraly, Lou Skizas and Bob Wiesler. The four were teammates the previous year in Independence. Kraly said that the experience living together in Joplin strengthened their bond. “We enjoyed it and we had a lot of fun. We became like brothers, not just teammates,” Kraly said. Reminiscing about their Hall of Fame teammate, also allowed both players to share their impressions of the devastated town. “I had all positive memories about Joplin. It was the first placed that I played professional baseball. The whole atmosphere there was really good. People liked the ballplayers,” Neeman said. He added that the community went out of their way to support the players. Kraly echoed Neeman’s feelings about the good-natured people of Joplin. Over sixty years later, invoking the name of Joplin brought back pleasant memories for two of Mantle’s teammates, playing alongside one of baseball’s brightest rising stars during a more innocent time away from the spotlight that followed their teammate until his passing in 1995. While Mantle’s spirit may not be able to fix the damage of this tragic disaster, hopefully the memory of his magical season in Joplin will make the day for residents a bit brighter than the last.